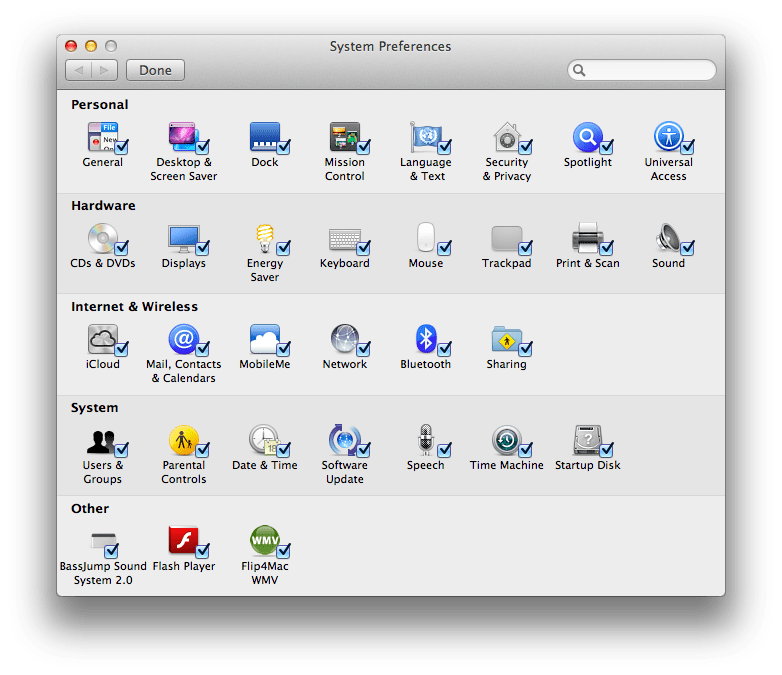 System Preferences’ panes use to be stuck the way it was, but now it is possible to hide the default panes. To do this just open System Preferences, select View in the top menu bar, and then click on Customize. From there check mark boxes will show up on the bottom right of all the panes. To hide it from view deselect it and press Done. If you want to get the pane back just repeat the steps except instead of deselecting you will select the hidden pane.